Miguel is a sure contender for the Triple Crown and has had a strangle hold on the power categories all season while leading the league in average. Miguel shows no signs of slowing down and could be the next, dare I say, Albert Puljos. Cano is putting up numbers that no one could fathom from a second baseball. A great combination of average and power, Cano is a leading candidate for MVP on one of the best line-ups in baseball History. Cano provides everything you need an more at the second base position. Hamilton has returned to his 2008 form with a monster set of numbers. Hamilton has been the constant variable of the Ranger’s success this season and. No team is complete without a base stealer and Crawford has made that his niche in his time with the Rays. But don’t let one of the fastest players in the Bigs fool you, Crawford has the pop every team need to respect. With an OBP of .370, there’s no doubt Carl will end up 100 runs scored and 50 stolen bags. Stella got her groove back. Vlad has revamped his career in Arlington. Second in the AL in RBI with 20HR Vlad the Impaler has held his own in a very potent Ranger lineup. Votto has put his name in the rink of top hitter in the NL Central. Which is saying a lot considering there are guys like Puljos, Fielder, Hart, Braun and Holliday. Arguably the reason why the Reds are in the Playoff race. A “down” year for Puljos (a career year for any other player in the Show). However a big second half is expected by Puljos if the Cards are going to overthrow the surprising Reds in the Central. Expect the average to rise along with the production from the best hitter in the game. The most valuable Red Sox this year, Youkilis has put up good production with a banged up Boston line-up. When the Red Sox regain their 2 spark plugs (Pedroia and Elsbury) expect more production from the already productive Youk. The big Swinging Howard has cut down the strikeouts this season while raising his average. Howard, like Youkilis, plays on a banged up lineup but with players returning for the Phils, Howard’s number could only get better from here. With 75RBI already, Howard could possibly reach 110 by season’s end. Wright has held his up his end of the bargain in New York this season, but it’s a shame he’s the only one to do it a full season thus far. But still Wright maintaining a .300 average while supplying run production for the Mets, David has also swiped 15 bags at this point. It’s easy to believe he will end up with a 20/20 season yet again. It’s tough to play hard day in and day out in the desert but Young seems to know a secret. While his average isn’t in the .300 ballpark, the rest of his line is very impressive. Another 20/20 player Young has a chance with a brief power surgence to make the 30/30 mark, as well as being in the 85-90 RBI range. Weeks, the second best second baseman to have this season has already set a franchise record for HR by a second baseman. All at the leadoff spot in the Brewer’s lineup. You couldn’t ask for more out of your second baseman, but Weeks isn’t done yet. He is on pace for 30 HR and 80 RBI and runs scored. The sweet singing lefty in the Rocky Mountains is one of the best-kept secrets of baseball. This young complete player does it all. Expect another 20/20 man out of Gonzalez and a possible 30/30 man for years to come. Beltre is the best off-season pick-up this year. Adrian’s power has followed him to Boston. Even though he gets it done on one knee at times, Beltre has accompanied Youkilis this season with carrying the Sox. Hart has raised his average while maintaining the power all season. A sleeper in the beginning, many didn’t believe in Cory. But Cory is good friends with Drizzy-Drake an said, “Well point the biggest skeptic out, I’ll make them a believer.” I believe! Amen! Paul has assumed his usual position of coordinating a second half push of his White Sox, but this year started a little early. 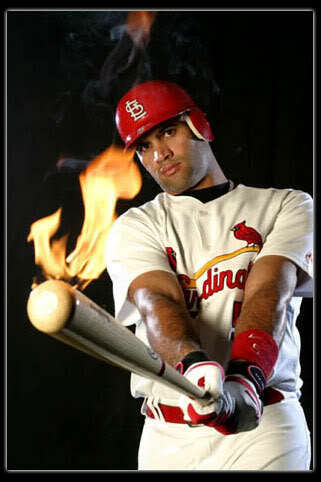 (With a little help: see Rios and Quentin) Konerko should finish with 30-34 homeruns and a potential 90RBi season. Did we mention he is hitting over .300? Longoria has stepped up as a young leader for the Rays and needs to continue with the production to make the playoffs, but it wont be easy. Prado is the spark plug of the first place Braves and should get the credit he deserves. Baseball is better when the Braves play well. Thank you Mr.Prado. Pat Riley, will you please bring an All-Star group to the Marlins??? A down year? Yes. But Hanley will continue to hit. If only the Marlins would follow in the Heat’s footsteps, who knows how well Hanley would do with help in the lineup. Another leader of a surprising NL contender, Gonzalez isn’t doing anything he hasn’t done before. You can expect 30-35 HRs from A-Gon as well as the 90 RBI range. With the lineup and ballpark Swisher plays in, 30 HRs isn’t far fetched. Neither is 80 Runs and 75 RBIs. Braun might have fallen back to Earth after last season (.320 32 HRs). But with the potency in the Milwaukee lineup, it’s not hard to believe a power bug may get passed around and Braun could come down with the HR flu. The Twins are in need of Justin Morneau to return to their lineup if they want to catch the White Sox. But rest assure his monster year will continue. Hear me out. Quentin struggled out of the gate this season, which contributes, greatly to his mere .243 average. But he has really turned it on. Also a notorious second half hitter on a notorious second half team, Quentin is the man you want on your team right now. If he can stay healthy, he will be among the biggest sluggers from here on out. Delmon is the quietest player to have 75RBI this year, and possibly the best 7 or 8-hole hitter of all time. Seriously, when was the last time your 8-hole hitter was raking in 75 RBIs and not even be at season’s end? Plus his .328 average and potential to reach 20 HR by October, Delmon is a great player to trade for/pick up if he is available in your league (if you’re playing with baseball illiterates). Has no one told this kid he’s not at FSU anymore? Goll-E I thought he hit my college team’s pitching well. Posey is a great pick up for the stretch, many believed he wouldn’t have so much production this early in his career, but he hasn’t missed a beat from his days in the garnet and gold. If you need some more pop from your catcher, or even average (umm…368), then pick up Posey. With the addition of Haren the Angles are saying they aren’t ready to crawl into a hole and hand the Rangers the division yet, and that means you can expect Hunter to put this team on his shoulders. You can expect the Halos and Hunter to heat up come August and you better hope you have him on your roster by then. You can see 22HR and 80RBI by season’s end for Torri. Upton’s numbers aren’t quite his 2009 campaign but I know it’s tough to play in that desert. With no adrenaline and no playoff hopes in Arizona it makes it tough to show up to the ballpark everyday. On that note, Upton is a solid bat and legs to have in your lineup. He is a young 5-tool player and I believe he will want to play a little out of selfishness to stack his numbers a little. He is hitting above is .274 career mark and could be a 20/20 guy this season. I wouldn’t trade much for him, but definitely consider him if the right price is asked.